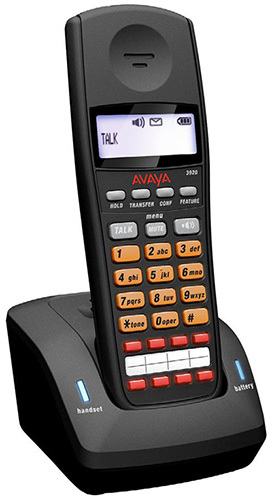 The Avaya 3920 Wireless Phone uses DECT 6.0 technology to provide crystal-clear, high-quality voice communication. The Avaya 3920 Wireless Telephone is not only a single-cell wireless telephone. The system can be expanded with repeaters to cover larger areas without the need of additional wiring. 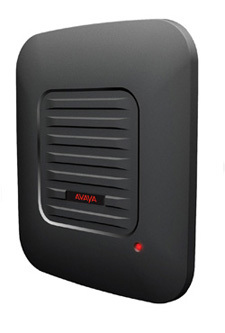 This flexible expansion of the coverage area makes the Avaya 3920 Wireless Telephone cost effective for small installations, while at the same time providing the capability for seamless telephony in larger areas. Up to six repeaters can be linked with a single base unit to increase the coverage area of the Avaya 3920 Wireless Telephone, making crystal-clear communication possible in areas that were hard to reach without installing a complex, multicell telephone system. The technology embedded in the Avaya 3920 Wireless Telephone can support a maximum of five channels with six full-duplex slots, providing you with a total of 30 available channels/slots. The coverage area depends on the environment. The range of radio coverage depends on the material of which the building is composed. Repeaters (see image to the right) can be installed to increase range. A maximum of six base units can be installed at one site. A maximum of 20 radio transmitting devices (base units and repeaters) can be installed at one site. Up to six of those devices can be base units. The base units must be located at least 17 feet apart from one another. The repeaters must be located at least 35 feet apart from base units and other repeaters.